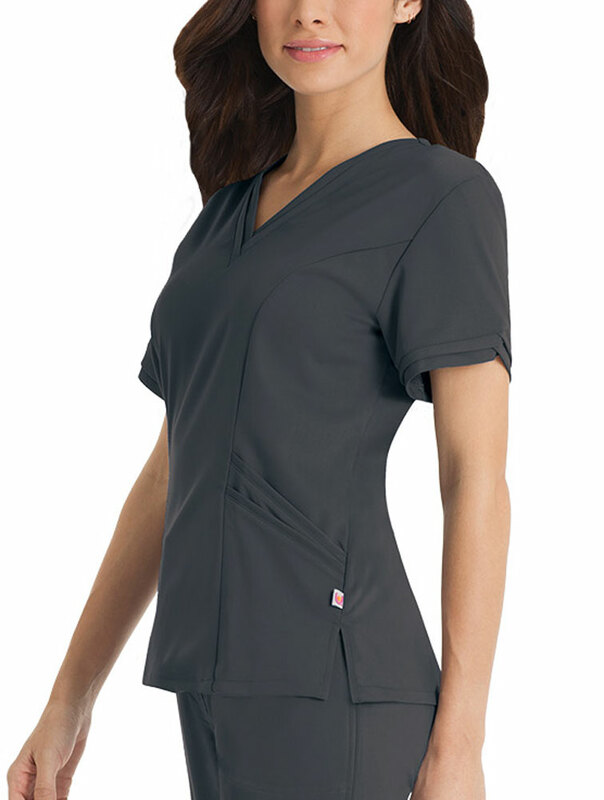 Feel as good as you look in our sophisticated and soft new Urbane Ultimate tunic. Interwoven double V-neck with interwoven double V-banded sleeve cuff detail. Princess seams and two sets of back darts for tailored waistline shaping. Four inset double-angled pockets. Tagless for even greater comfort. 54% rayon/44% polyester/2% spandex. Medium Length: 24 5/8"